I'll be in the Bay Area in a few weeks with an intention to focus my beer efforts on some of northern California's oldest craft brewers. So, it was good timing to see these two press releases pop into my mailbox. One for Bear Republic, which is marking its first anniversary at a second brewpub location in addition to its production facility. The second press release below is for the re-energized Speakeasy Ales & Lagers, which has emerged from the financial brink with new owners just in time to celebrate 21 years of brewing. I've been to Speakeasy's location before and while it's not the most convenient for public transit, once there, the people and the beers make it worth the effort. Bear Republic? Oddly enough, I've never been there. Been to at least a brewer's dozen (how many's that? dunno. but definitely more than 12 if a Beer Week can be called 10 days!) breweries in the North Bay and beyond. Actually, maybe close to two dozen, come to think of it. But, yet, somehow, never Bear Republic. No matter the crazy amounts of praise I heap upon the Racer 5 . Ok, here you go. Both press releases in one post. Oh, and one more piece of news about what has become an SF establishment over the last 11 years. It looks like City Beer Store will have completed its move two blocks closer to Market Street (albeit missing the mid-block cut through street to Cellarmaker) and reopening by the time I arrive. In its early years, was a destination bottle shop in the city's SOMA neighborhood. Then became a destination to buy said bottles, but only after getting distracted for an hour or more by one of the city's most drool-worthy draft lists. San Francisco, Calif. — Wednesday, August 1, 2018 — Speakeasy Ales & Lagers has been in the craft beer game for more than two decades brewing exceptional small batch beers at their San Francisco Bayview-Hunters Point brewery. On Saturday, August 25, Speakeasy Ales & Lagers celebrates the gilded era of craft beer with a 21st Anniversary event inviting beer aficionados to join the Speakeasy staff inside the taproom with exclusive VIP access (VIP ticket packages range in price), in addition to the General Admission experience for only $5. Whether you book the Godfather's Office or Scarface's Lounge for you and your closest friends or simply join the party for tastings of up to 17 draft beers, Speakeasy Ales & Lagers hosts one of the summer's most anticipated Bay Area craft beer events with an array of their favorite San Francisco businesses. Achieving 21 years in the beer business is certainly a milestone, and with their upcoming anniversary summer bash Speakeasy & Lagers also hoists a pint in celebration of being open for almost a year under its new ownership. Marking such a momentous occasion is the special draft-only release of Gilded Ale, a Golden Stout with Gold Glitter paying homage to the golden era of Speakeasy. The 21st Anniversary event also serves as the annual 22 oz. bottle release of Syndicate Series No. 04. A unique blend of Speakeasy beers that have been aged for no less than one year in bourbon barrels, Syndicate Series No. 04 includes Scarface Imperial Stout (Aged 22 Months), Fixed Fight Old Ale (Aged 20 Months), Scarface Imperial Stout (Aged 23 Months), Betrayal (Aged 50 Months), and Old Godfather (Aged 48 Months). Syndicate No. 04 pours dark with heavy tobacco, leather, chocolate, and vanilla notes along with hints of dark fruit and coffee. Syndicate No. 04 clocks in at over 10% ABV, but is smoothed over by its extensive aging time. Many of San Francisco's revered local businesses will join Speakeasy Ales & Lagers' epic anniversary party, including Philz Coffee, Dandelion Chocolate, Humphry Slocombe, Etta+Billie, Glass Coat Photo Booth, Regrained, El Taquero, Samara Southern Creations, and Long Bridge Pizza. Live music by The Helltones, Mad Mama and the Bona Fide Few, and Sweetwater Black. VIP tickets ($50) include access to the taproom, a Speakeasy 5 oz. glass with unlimited tastings, a Syndicate Series Vertical Flight, and early entry at 1 pm. Speakeasy Taster Glass tickets ($30) include unlimited tastings and early access at 1pm. Pre-sale General Admission tickets ($5) include one beer, and GA tickets ($5) at the door allows entrance only. 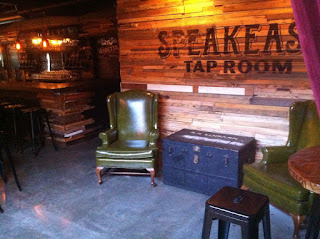 Speakeasy Ales & Lagers has been defiantly brewing small batch beers in San Francisco's Bayview-Hunters Point neighborhood since 1997. The brewery started with a single iconic beer, still made today, Prohibition Ale. The hoppy amber beer embodies the spirit of bootleggers and gangsters who persevered when America's taps ran dry. Speakeasy quickly gained a loyal following with its bold, complex beers, and striking 1920s imagery. Speakeasy's kingpin Big Daddy IPA is the brewery's highest seller among its wide array of celebrated beers, from session ales to bourbon barrel-aged imperial stouts. 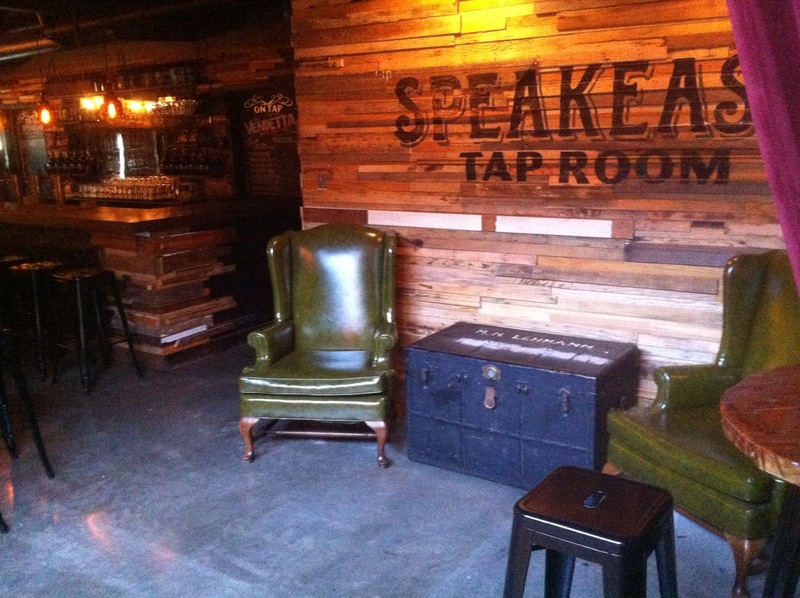 In 2013, the Speakeasy Taproom opened serving thousands of local craft beer lovers with fresh draft beer to be enjoyed onsite or to-go in growlers and crowlers. Speakeasy's original 15 barrel brewing system was replaced in 2015 during a major expansion, which included a 60 barrel brewhouse, centrifuge, malt handling system, canning line, and an additional 1,200 barrels of fermentation capacity. Hunters Point Brewery LLC, a company founded by former owner of Horizon Beverage Company, Ces Butner, acquired the Speakeasy beer brands and brewing equipment in 2017. Under new ownership, Speakeasy Ales & Lagers will grow by leaps and bounds. The brewery's trademark eyes, ubiquitous and cryptic, beckon you to join our mob, no password required. SONOMA COUNTY, CALIF. (August 1, 2018) — Bear Republic Brewing Company (BRBC), a Sonoma County, California based brewer, celebrates the one year anniversary of Bear Republic Brewing Company Lakeside on Tuesday, August 21 with a luau themed party. Bear Republic Brewing Company Lakeside One Year Anniversary Luau features a roasted pig, aloha welcome cocktail hour, full buffet dinner, fire dancers and authentic Tahitian and Hawaiian dance performances. VIP tickets for the event have sold out, General Admission tickets are still available on brownpapertickets.com or bearrepublic.com. Located at 5000 Roberts Lake Road in Rohnert Park, BRBC Lakeside offers award winning craft beers and delicious pub fare with a twist. BRBC Lakeside opened in August 21, 2017, the location includes a 10-barrel brewing system, a full bar offering house and beer cocktails, a stage, a kids play area, and an adult games area. A large outdoor dining area overlooks Roberts Lake flanked by palm trees. The kitchen serves pizzas along with classic Bear Republic dishes. Established over twenty years ago, Bear Republic Brewing Company has expanded from a small brewery in downtown Healdsburg, CA into distribution markets all over the country. Bear Republic is the 42nd largest craft brewery in the United States and employs more than 220 people. The company operates two brewpub locations, a production brewery, and shipping warehouse. Bear Republic maintains a sense of loyalty and tradition from eras gone by with a constantly growing portfolio of craft beers.